Kitchen countertops are a crucial element in your kitchen because they’re the first thing your eyes are drawn to when you enter the space. 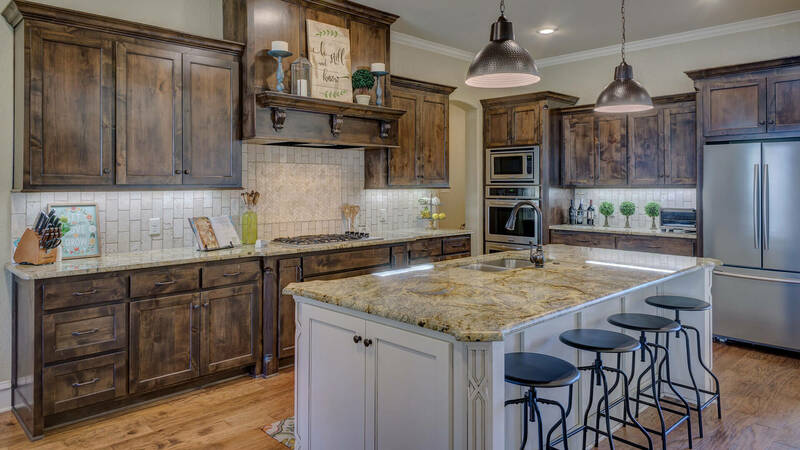 Your countertops can set the tone and add warmth to give your kitchen an inviting feel. Divine Design Stone & Cabinetry in Hackensack, New Jersey, specializes in the sale, fabrication and installation of natural and engineered stone countertops for residential and commercial kitchens at a price that will surprise you. When you’re debating changing your kitchen countertops, choose a quality material that will last a lifetime, but not cost an arm and a leg. Your choice of countertop material also should allow you to create counters that match your tastes and lifestyle. We offer an extensive selection of durable, long-lasting granite, marble, onyx, limestone, travertine, soapstone, quartzite and quartz counters in a tremendous array of colors and surface designs to match your desired application. We create masterpieces by transforming your selected material using the latest mechanical technologies, but with an artisanal touch. This means you get aesthetically pleasing counters with the quality you deserve and a price you can afford. To further customize your countertops, we also offer a variety of ornate edges, profiles and finishes. Countertop edges, like colors, are an element that most often determines the overall look of the kitchen design. While your choice of edges might seem like a minute detail, it can significantly enhance your kitchen’s style. At Divine Design Stone & Cabinetry, we can create almost any type of edge for any type of stone countertop, and help you determine the ideal edge based on the section of countertop that will be most visible. Some of our standard selections include bevel, round, eased and bullnose edges, or upgrade to OGEE, chiseled, bookend, full bullnose or waterfall edges. With so many choices, you’re sure to find the perfect style for your desired design. Our team of professional kitchen designers listen to your ideas and requests and advise you on the countertop material that best suits your needs and design. We’re experts at providing the highest-quality materials while still making any budget work! We proudly serve clientele in the tri-state area, including northern New Jersey, Connecticut and parts of New York, including New York City. Visit our Hackensack showroom located at 158 Liberty Street, or contact us at (201) 441-9222 for a free estimate on your project today!